Yes, that Denny Hamlin. He just won the biggest race of the year in Daytona, but Hamlin’s got some unfinished business. 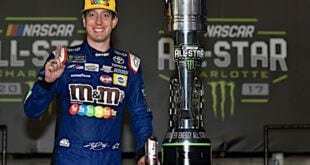 The Daytona win puts him in the Playoffs and gives him plenty of time to prepare, but the one thing missing from Hamlin’s resume is a Cup title. He’s come agonizingly close; in 2010, before the one-race title came into play, Hamlin entered the final race at Homestead with the points lead..and came out as runner-up. He hasn’t come that close since, with a third-place showing in 2014 the best finish he’s had since. 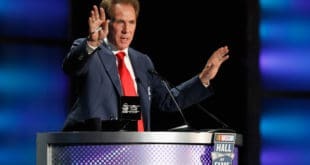 Hamlin’s win total is flirting with Hall of Fame numbers, and history suggests that a title would cement him (his 32 wins ties Hall of Famer Dale Jarrett, who has one championship). The knock on Hamlin has been that other drivers get in his head and that’s why he hasn’t been able to close the deal. Hamlin has also hinted that all is not equal at Joe Gibbs Racing when it comes to championship focus. Either way, Hamlin’s running out of time to prove them wrong. Even the greatest driver wins his last race eventually. It shouldn’t feel like Johnson is there yet, but he has struggled since NASCAR cut horsepower in the Cup cars, and he’s the oldest full-time driver in the field this year. Something’s gotta give. Just what that will be is the mystery here. Johnson is physically as strong as he’s ever been, and he seems to still have as much fire as ever. His comments to that end seem genuine, not simple lip service. 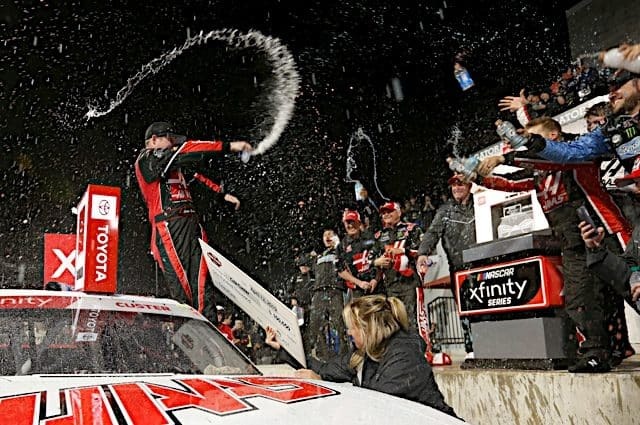 He’s as hungry as the rookie who feared for his job even as he was rising to the top of the NASCAR mountain, and his 83 Cup wins speak for themselves—only five men have more, and Johnson needs just two more trips to Victory Lane to eclipse two of them. But can he find two more wins somewhere? Hendrick Motorsports as a whole is behind the 8-ball and Johnson in particular hasn’t been able to figure out the Cup cars recently. He’ll go down—deservedly—as one of the best ever to strap into a car, but to fade away now seems like it leaves something big unfinished. Like Hamlin and Johnson, Newman isn’t getting any younger. The 2002 Rookie of the Year (he beat Johnson for the honor) followed up that campaign with eight wins in 2003, showing great promise as a future champion…except that never came to fruition. Newman hasn’t won more than twice in a season since, and he’s only done that once (2004). Half of his 51 career poles came before the end of 2004. 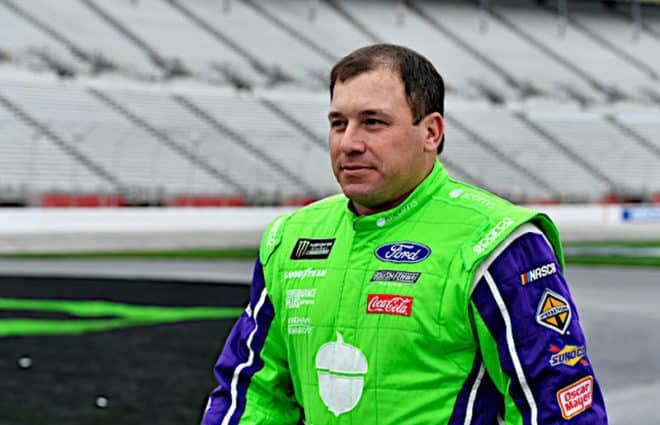 Newman is with a new team this year, Roush Fenway Racing, and he comes to a program that has been off the mark in the Cup Series for some time. There’s a lot riding on Newman’s shoulders here. It’s unlikely that he’ll turn the ship around, but he may be able to right it. Newman has just one win since 2013, but his consistency has kept him in solid rides—he can make the playoffs on points. But that’s not enough. Newman entered the series as the hottest prospect in town. It’s unlikely that he’ll go out in the same blaze of glory, but another win or two, and a return to competitiveness for RFR, would go a long way in cementing Newman’s legacy as a solid, valuable driver. To some degree, DiBenedetto represents all the drivers on underfunded teams that observers watch and wonder what they could do in better equipment, with more support. DiBenedetto has that opportunity this year to showcase his talent…but with that opportunity, there’s a lot riding on his back. The 27-year-old rose to the occasion in Daytona, leading the most laps before getting tapped from behind and spun into oncoming traffic. That’s significant, because even at Daytona or Talladega, an underfunded car doesn’t often mount that kind of challenge even with a top speedway driver. Handling is key at Daytona as well, and with an offseason alliance with Joe Gibbs Racing, Leavine Family Racing is in the best position they’ve ever been. They’re not at the level of support that Furniture Row Racing was (that didn’t come at a bargain price), but they should be able to race with mid-tier teams on a fairly regular basis. 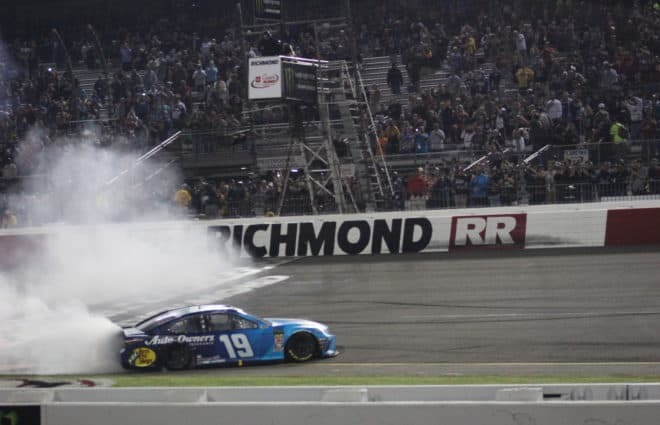 That didn’t happen last week in Atlanta, so where does that leave DiBenedetto? He needs to prove as a driver that he can run with the top 20 on a regular basis, but it’s wrong to expect that overnight. Drivers say it can take weeks if not months for a driver and crew chief to learn each other’s needs, and the team is also adjusting to having better parts and pieces. But by the time summer rolls around, this team should be firing on all cylinders, and that’s when the pressure on DiBenedetto will ramp up. 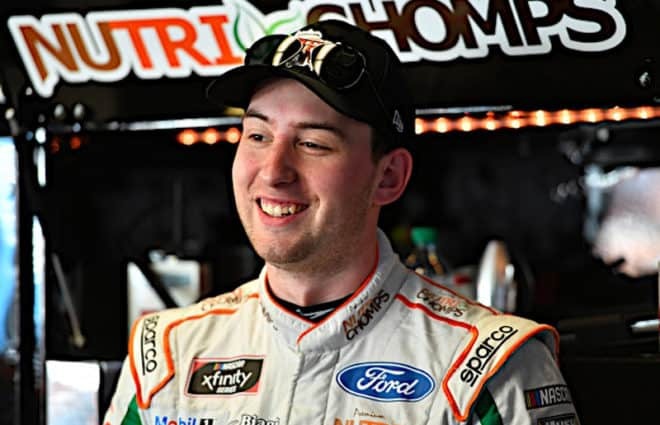 To an extent, the younger of the Dillon brothers has been exempt from the pressure to perform that older brother Austin had early in his Cup career, because Ty races outside the Richard Childress Racing spotlight at single-car Germain Racing. That’s not entirely accurate, as Germain Racing is an RCR satellite, and by most accounts, has cars equal to his brother’s. That’s been the case throughout the brothers’ careers. 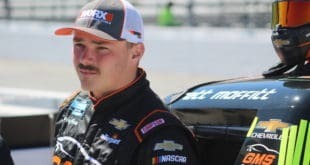 Ty came along a few years after Austin, but both had RCR’s best in the Truck and Xfinity ranks, which makes comparisons more accurate across the board. 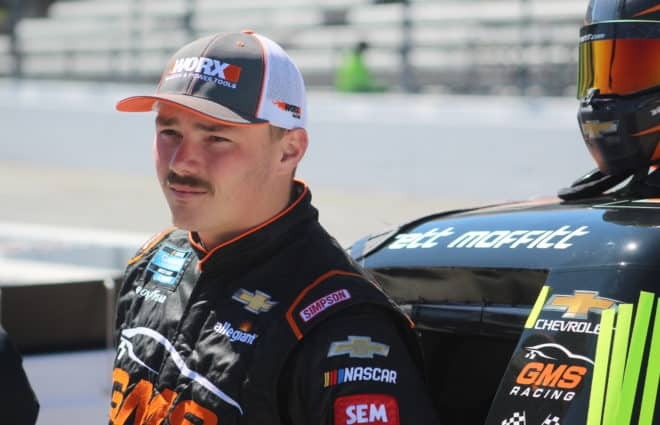 Looking at it that way, the younger Dillon has always been slightly behind in terms of performance, though he falls higher on the list than new RCR driver Daniel Hemric (Hemric’s Truck career was not in RCR equipment). That begs the question as to why, with improved equipment, Germain Racing hasn’t seen significant improvement in the two years Dillon has been in the driver’s seat. He needs to put that question to bed. I’m a JJ fan, have been since they gave Newman ROY. But I’ve also always admitted that Jimmie cannot drive a lighter car with lower horsepower. He never could and never will be able to do it. I wish he could get 2 more wins to pass DW, but as I said over a year ago, I don’t see him getting another cup win. Sadly, I still feel that way. I think Jeff Gordon’s retirement is an underestimated factor in Johnson’s struggles. Since then, his teammates have been two checked out veterans and mostly unproven youngsters. There has been no one to push him. 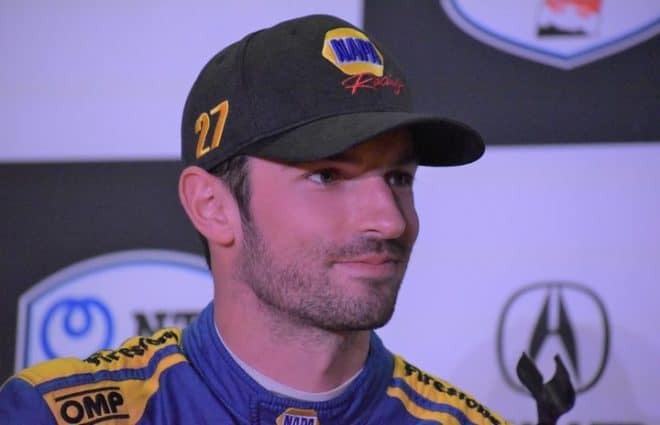 Johnson never was as good as his record says he is, he was an invention of Nascar that totally blew up in their faces, simply drove people away by the blatant favoritism Nascar showed him and Cheatin’ Chad. A talented driver, but not a 7 time champ without Nascar’s help. Hamlin and Newman are both past their best before date, Dillon is just a rich kid riding on Gramp’s money. DiBenedetto has promise and not much money, a combination often seen in racing and which most often ends in failure. Money is always more important than talent in auto racing, without money you go nowhere. You missed a bunch of names….